It does not fly, but its feet never touch the ground. The king of paradox. 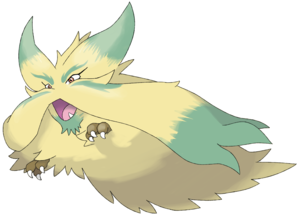 Snarlon, the Westerly tuxemon, is a Earth-type monster. 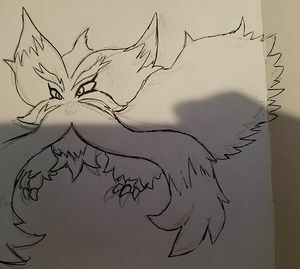 Designed as a unique tuxemon, but no place in the plot yet. The Snow Lion of Tibet, and the Tibetan Terrier. Based on the White Tiger of the West, one of the four legendary animals of the directions. The Snow Lion does not fly, but its feet never touch the ground. Original design and sprites by Sanglorian. Main art by slickedbackArtisan. This page was last modified on 1 April 2019, at 07:59.